The single most reliable source for an estimated market value for your home is a Realtor. Contact me for a detailed evaluation of your property. Interesting snapshot of local Real Estate inventory. The table represents aggregated values based on MLS data for the month of August, 2018. Our job is to make sure you have all the information you need at the time you need it. Feel free to contact our team any time or Gregg at cell# 831-818-7524. If you've lived in your home in Santa Cruz for many years, you may be concerned about real estate market trends and other rising costs in the area. Once you retire, you will be receiving a fixed income and might not be able to keep up with increasing costs. Also, your children might not be able to afford to stay in the area once they leave home, and so they may have to move to a different locality. These are genuine concerns for some, and local officials and politicians are actively considering various ways and means to help alleviate the financial burdens some will face when electing to age in place in their current homes. Recently, the publication LIFE everything Aptos, Capitola & Soquel detailed ongoing efforts to help people find affordable housing in this article by Zach Friend, a Santa Cruz County Supervisor. According to Friend, the county of Santa Cruz has published an interactive toolkit which allows homeowners to design an accessory dwelling unit (ADU), acquire a permit and begin construction. The Board of Supervisors has also recently reduced permit fees and created a forgivable loan program to defray some of the upfront costs. In essence, it is now easier and cheaper to build an ADU in the unincorporated area of Santa Cruz County. Friend said that ADUs, or companion units, are an easy and fast way to gain more affordable housing. This will help older residents who want to age in place at their existing locations by building an ADU for themselves while leaving the main house for their family, or who want other family members to stay in the ADU. For people who need extra income, building and renting an ADU is a good option. The Board of Supervisors has put rules in place to prevent these ADUs from becoming short-term rentals. Even though you currently enjoy your working life, you may long for a future retirement where you can enjoy doing all the things you dream about while you are working. As you prepare for this certain time in your life, you will begin to consider where you will want to live when this event takes place. You might decide to stay in your existing home, change your home but stay in the same area or relocate to an entirely new area. If you decide to change your residence for current or future retirement purposes, you will be looking at areas and homes that will allow you to participate in the types of activities that you most enjoy. However, today the new retiree is healthier than ever and is living longer than ever. So, how do you reconcile the different housing needs for being still somewhat youthful and active at retirement, but also faced with the probability that you will live into your 80s and 90s? One solution is to plan on "aging in place". This means that you plan on living in a home wherein you can stay as long as your health permits. As you age, your physical needs change as well. You might require more assistance for daily tasks, and your home needs to be able to accommodate these needs. However, if you retire in your 50s or 60s, you will probably not need assistance at that time and will want a home that accommodates your present needs without regard to physical restraints. 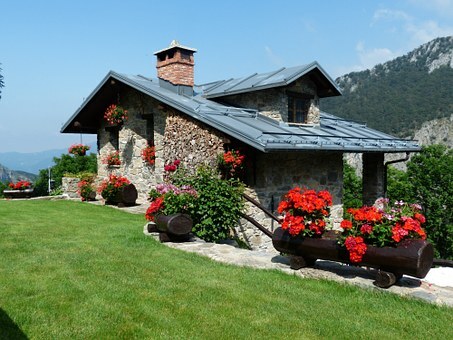 The good news is, though, that you can retire in your existing home or a new location and still be able to stay there long-term with some planning for the future. With today's technology, smart assistance is at your beck and call (literally), and you can also add many adaptive features to your home. Scenic Road in Carmel-by-the-Sea is a stretch of road that runs from Ocean Avenue to just past the intersection of 17th Avenue and Valley View Avenue. The road winds down the coast along Carmel Beach and offers breathtaking views of the dazzling blue ocean on one side and unique and quirky million dollar homes on the inland side. Traveling down Scenic Road is an interesting stroll that presents a myriad of things to see and experience in a wholly accessible manner. The ocean side is easy to explore because of the walkways that lead down to the beach, which makes traveling back and forth from the road to the beach a breeze. Sea lions, otters, whales, dolphins and different varieties of birds are just some of the sea life you may observe in the ocean or on points of land while you walk along the road. The beach offers a variety of terrain such as small rock pools, white sand, cypress trees and large rock formations. A few years ago you may have researched Carmel homes for sale and ultimately purchased the perfect family home in which to raise a family. Those children are now grown and have moved away, perhaps even owning homes in Carmel of their own and starting their own families. It’s time now to downsize your living space in to a more suitable home, that will ultimately make life easier for you as you grow older. 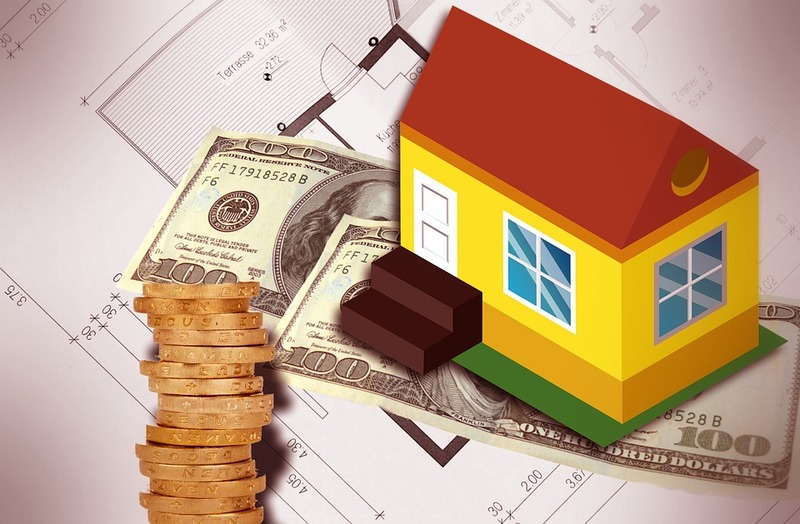 Purchasing a new home at any time is a serious business and a serious financial investment. Your needs are different now, so this new purchase needs some different thought and considerations. There are a number of things you need to consider when purchasing another home in Carmel that will suit your lifestyle, and needs, in your later years. A large house with lots of square footage, a large backyard, and many bedrooms and extra bathrooms was perfect for a growing family. All that room was great for outdoor barbeques, birthday parties, and family fun nights but once the kids move out a big house, can feel like a very empty one (but one that still needs to be heated and cleaned). Determine how much space you really need to feel comfortable and allowing for the grand kids to stay over and at some point maybe an in home caretaker. How can I sell my home fast in Santa Cruz ? 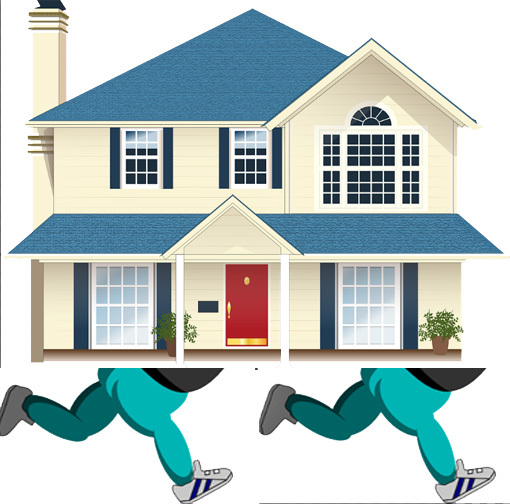 There are many aspects that come into play for the correct answer to the question " How can I sell my house fast, " for your house. Factors such as price point in a given area, amount of new home competition, market timing and the economy. We'll stick to the general things that apply most all the time. How Can I Sell My Home Fast in Santa Cruz? Price your home to sell today not in a month. People forget buyers look at value, competition, and are well informed with all the information available on the internet. If you're not getting traffic or activity that's a key sign the price isn't attractive to a buyer. Clean it up and make it shine. A neat and clean home with clean carpets and refinished floors makes for a positive impression of a well cared for home. I can't tell you how often "dirty" negatively affects the price and speed of a sale, but I've heard about it a lot in my 30 years as a Santa Cruz real estate agent and broker. Deciding if Townhome or Condominium Living is Right For You? When shopping for a new home, aside from price, one of the biggest decisions involves choosing the type. If you’re considering a Santa Cruz condominium or townhome, here is what you need to know to help you decide if either will be a proper fit. A condominium, commonly referred to as a condo, is similar to an apartment, though constructed differently: It is one unit in a building that has many co-owners. The difference is that you own a condo but rent an apartment. However, a Santa Cruz condominium is normally situated on a single level and that can range from ground floor to multi-stories high with lovely views. Some oceanview condominiums are highly desired. From the many historic properties for sale on Candy Cane Lane or the Old Methodist Retreat area downtown to more modern homes near Del Monte Forest, Pacific Grove has properties that fit every lifestyle. When you look at homes in Pacific Grove, though, you’re not only hoping to find a place to live that you can customize to your own tastes, you’re also preparing to make a significant investment. 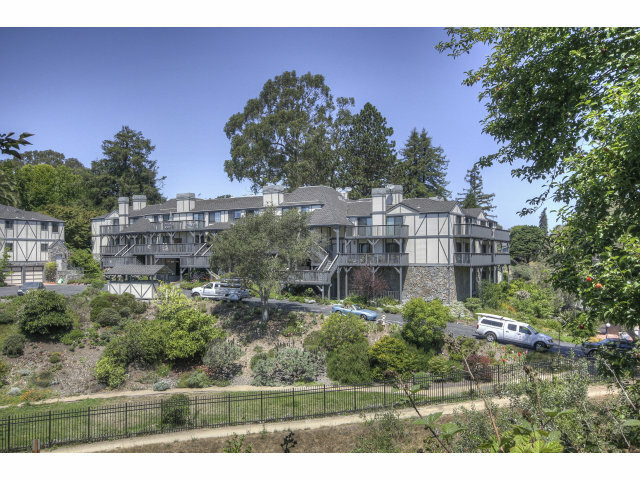 Real estate values are appreciating quickly in this picturesque town along Monterey Bay. According to Sperling’s Best Places, the median price of a home in Pacific Grove jumped 17.6 percent here in the last year alone. Purchasing the right home in Pacific Grove can be a very complex decision because it involves balancing your lifestyle needs with your wealth-building aspirations. That’s why it’s vitally important to partner with a real estate agent who has at least half a decade of experience in Pacific Grove and other local markets and has an impressive track record for closing deals. Searching for a home does not have to be difficult. Finding houses in the Santa Cruz area that are perfect for you should be a fun thing! 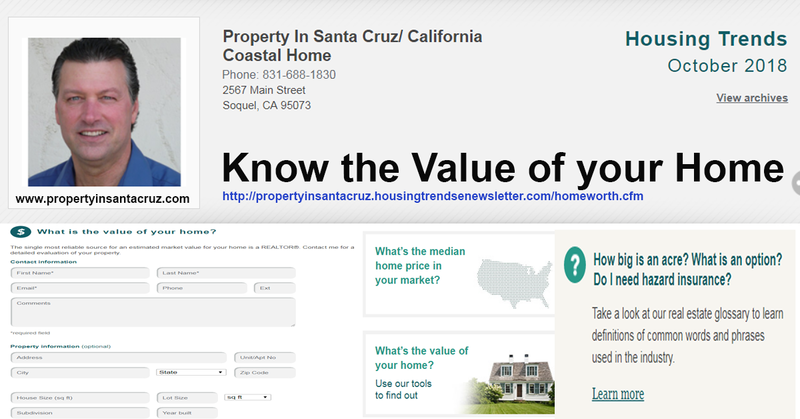 Here are some ways that PropertiesInSantaCruz.com makes searching and finding homes easier on our site. Search homes for sale by price and location. You can search current listings by both price and location. We provide this an every page of the site that is possible so that you can easily screen out properties that are not in your price range or are not in an area you desire. This helps you to focus on JUST the homes that will really appeal to you. You can also sort the results to just show you the LATEST homes on the market. Getting More Information is Easy. It is important that when you find the perfect home that you are able to find out more or share it with family and friends. Here is what you will see on EVERY listing on our site. 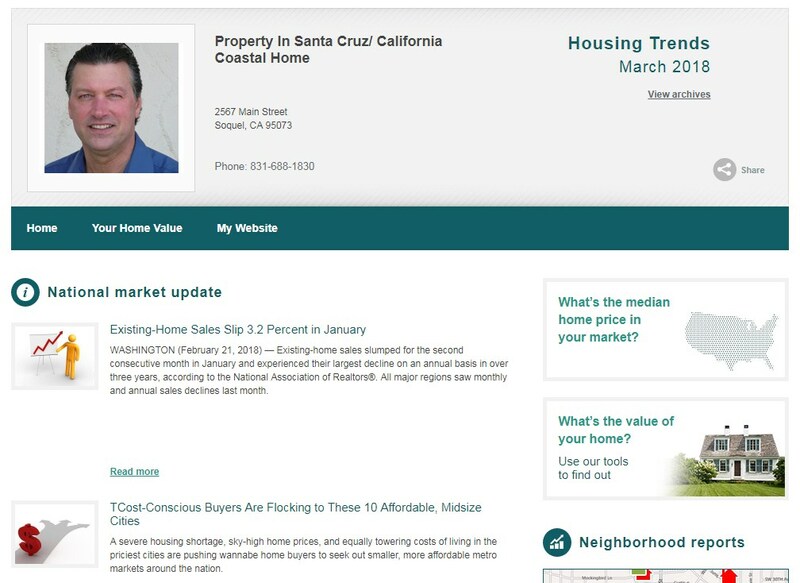 A lot of times I get asked about "the real estate market in Santa Cruz". What people are typically asking when they ask this is about the value of homes for sale. "How much is my home worth?" "How long would it take to sell?" That sort of thing. It is a question that is probably best answered with a question. "Where do you live?" or maybe "That depends, what are you looking to do?" Because the truth is that the real estate market in Santa Cruz can be a lot of things depending on where you are, the type of home that you have to sell or are looking to buy, how fast you need to move and a number of other factors. In other works YOUR real estate market can be entirely different form anyone elses. It is unique to you. To help you with YOUR situation, here is what we do. I avoid talking too much in general terms about the real estate market and I often ask you to clarify what you are doing or wanting to do. Then with that information, I can put together an ACCURATE idea of the how the market looks to you. We do that with no cost or obligation. 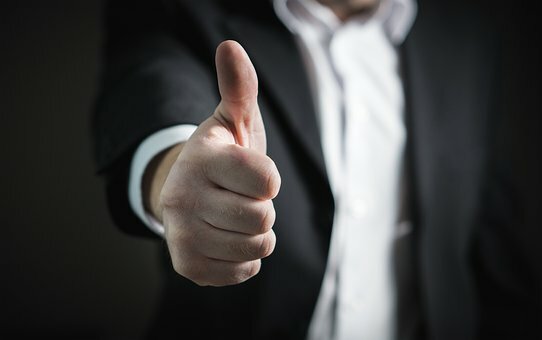 Simply to help you have a better idea of the market. Call us today and get a PERSONALIZED market report today. 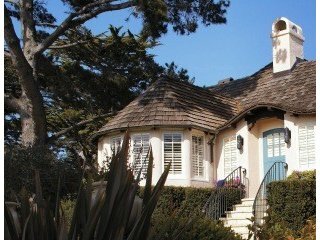 If you are planning to buy a home in Carmel, CA, you will want to make sure that any property you wish to invest in is thoroughly inspected. A home inspection can be conducted to check for structural damage and other factors that might influence your decision to purchase. 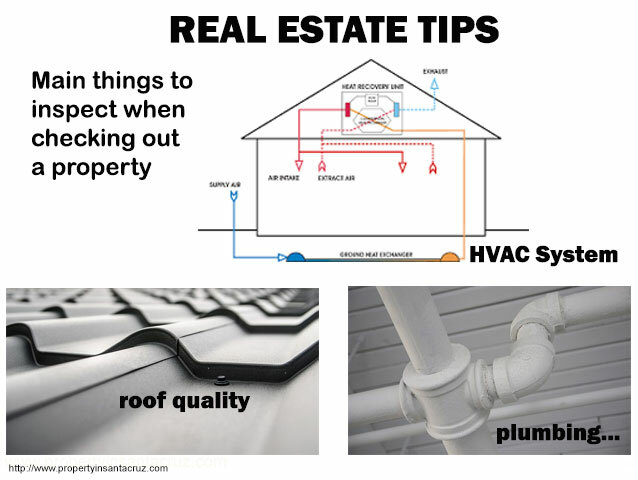 Whether you choose to perform the inspection yourself or hire a professional home inspector, here are a few of the main things that should be inspected when checking out a property. The roof should be carefully inspected to look for things like missing tiles or cracks that might allow water to leak into the home. If the roof is severely damaged or outdated, you may need to invest a considerable amount of money in repairs if you wish to purchase that particular property. Pests can cause extensive damage to homes, and sometimes this damage is not easily seen right away unless the property is thoroughly inspected. Rats, mice, squirrels and other rodents can chew through wires and cause major damage to the electrical system. Termites can eat away at the wood and cause significant structural damage. A home inspection will also help to identify the presence of bed bugs, wasps and other potentially hazardous creatures. 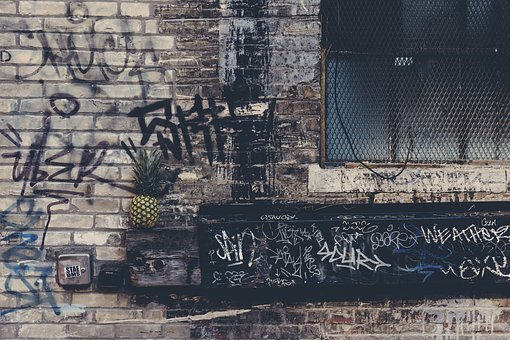 When a neighborhood becomes the target of graffiti, residents often suffer in a variety of ways. Whether the graffiti is caused by boredom, defiance or is gang related, it has a negative impact on the entire community. One problem is that graffiti can send the message that nobody really cares about the neighborhood. This can cause teens and young adults to also have a lackadaisical attitude toward their own community. After all, if the adults don’t care enough to do something about the graffiti, how much pride will young people have for the area in which they live? Of course, with the increase in graffiti, Santa Cruz County homes often lose value. This can affect families on several levels. First, it can make it impossible to sell, especially if the homeowner owes more on their property than its current resale value; however, it can also mean that there are few qualified buyers willing to purchase real estate in the neighborhood. Not only will homeowners suffer in the purchase price of their home, but they might be waiting a long time to find a buyer. This can mean that people moving for a job opportunity, those who want to upgrade to a larger home for a growing family or seniors trying to downsize will all suffer. The city of Santa Cruz calls to those who desire to relocate in an area where spectacular ocean scenery and a mild year round climate create an ideal environment. A variety of Santa Cruz homes include residences from large estates to single family homes and beach front condominiums. The city includes several distinct regions, each with a unique personality and character. The local communities provide recreational, commercial and educational opportunities for families and single adults. The close proximity to Monterey Bay and Carmel make living in Santa Cruz an exciting and preferable choice when moving to one of California’s central coast areas. Although the city of Santa Cruz itself is relatively small with a population of approximately 57,000, residents pride themselves in belonging to one of the unique separate neighborhoods that encompass the area. From the beaches to the university campus and downtown area, Santa Cruz combines a resort atmosphere with an educational base and family oriented community. Santa Cruz Central Region: Known as the “Original Surf City”, a casual beach atmosphere dominates the scene near the famous beaches. One of the oldest amusement parks, the Santa Cruz Beach Boardwalk, draws tourists who enjoy the rides, arcade games and snack bars. Seafood restaurants line the streets and the quaint buildings of an earlier era are located a few blocks from the beach. Charming older Santa Cruz homes combine with more contemporary multi-level buildings offering residence opportunities to suit many tastes.